Higham Lane School - Teacher Scoops Top National Award! Teacher Scoops Top National Award! One of Higham Lane School's most inspirational teachers has received a top national accolade for her excellence in teaching! 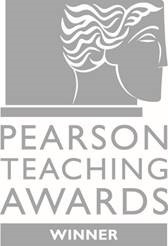 Romayne Charles, Subject Leader for Modern Ethics, has won a Silver Pearson Teaching Award in `The Award for Teacher of the Year in a Secondary School' category. It is a fantastic achievement and one which is being celebrated by the whole school community, including members of the Sixth Form. As a Silver Teacher Award winner, Miss Charles will receive her trophy at a celebratory tea to be held at the House of Commons on July 4th. She will also be considered for a Gold Pearson Teaching Award in her category with results being announced at the UK awards ceremony on October 21st. For the full story see the next edition of HLS Express, due out in July. 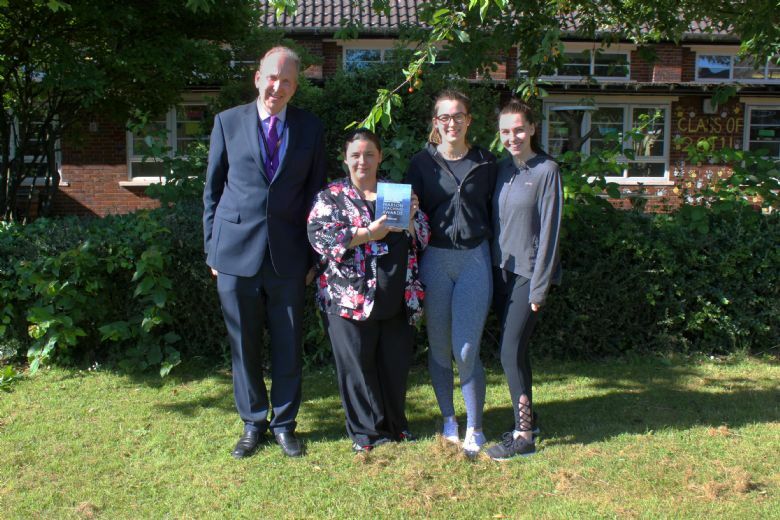 > Below: Miss Charles is congratulated on the award by Headteacher, Mr Kelly, and two of her Sixth Form students.